Note: All degree options are listed alphabetically and apply to the United States only. May also be calling a Patient Care Technician (PCT), Nursing Assistant, Home Health Aide, or Nurse Tech. Degree type: None/not applicable. A Certified Nursing Assistant is a type of unlicensed assistive personnel (UAP). Degree length: No specific degree required. Hospitals and other healthcare organizations typically provide on-the-job training. Scope of practice: Assist patients with basic healthcare needs and activities of daily living (ADL’s), such as bathing patients and changing bed linens. No licensure examination is required for employment. Pros: No college-level/post-secondary education required, and no passage of a licensure examination is required. Opportunity to assist with direct patient care. Cons: Significantly less ability to independently plan and implement patient care than registered nurses (RN’s). Significantly lower salaries than RN’s and licensed practical nurses (LPN’s). In some cases, patient care tasks may be more physically demanding than tasks completed by RN’s and LPN’s. Advancement: Many individuals interested in pursuing employment as an RN or LPN begin as unlicensed assistive personnel to gain exposure to patient care in healthcare organizations, and pursue further education at community colleges or other educational institutions while working. Prerequisites for admission: Completion of a Bachelors of Science in Nursing (BSN); generally requires at least a 3.0 grade point average (GPA) in undergraduate nursing courses; may require at least 1 year of work experience as an RN. Degree length: 1 – 2 years, depending upon full- or part-time student status and type of Masters program. Salary: About $50,000 – $70,000 depending upon geographic area and practice setting. Scope of practice: The Clinical Nurse Leader (CNL) is an “advanced generalist” nursing role that focuses on healthcare quality, safety, and systems management at the unit level. (The CNL role differs from a Clinical Nurse Specialist, or CNS, because the Clinical Nurse Specialist is more specialized and focuses on a particular patient population, setting, or type of care – such as cardiac patients, women’s health, psychiatric care, etc. – rather than on healthcare systems leadership and management generally). The Commission on Nurse Certification (CNC) provides certification for Clinical Nurse Leaders; CNL’s must also be currently licensed Registered Nurses (RN’s). The CNL role was formed in response to the high rate of medical errors identified in the U.S. healthcare system in the late 1990’s and is the first new U.S. nursing role to be widely promoted and adopted in the last 35 years. Pros: Because the Clinical Nurse Leader (CNL) is an “advanced generalist,” CNL’s are not limited to working with any one patient population or in any one healthcare setting. In collaboration with other managers, they have the freedom to identify deficits in healthcare delivery or patient outcomes and implement solutions. For those who enjoy professional variety, independence, and the opportunity to be a results-driven leader, the CNL may be an ideal role. Cons: Because the Clinical Nurse Leader (CNL) is a generalist role, individuals who are passionate about a specific patient population or clinical problem may want to pursue being a Clinical Nurse Specialist (CNS) or Nurse Practitioner (NP) instead. CNL’s must think strategically about healthcare systems and processes, so the role may be ill-suited for individuals who prefer to work one-on-one with patients. Because the CNL is a relatively new advanced nursing position, job duties and responsibilities may be somewhat vague or undefined in some healthcare organizations. While some individuals may thrive in that setting, others may find that ambiguity frustrating. Advancement: A Clinical Nurse Leader (CNL) is a terminal degree. CNL’s who wish to pursue an academic career may need to earn a PhD. Some CNL’s concurrently hold other advanced nursing degrees. Salary: About $85,000 to $110,000, depending upon geographic area and experience. Scope of practice: Certified Nurse Midwives (CNM’s) may independently deliver children for women with low-risk pregnancies, in addition to offering post-partum (after-birth) and general gynecological and primary care to women. CNM’s may deliver babies in hospitals, birth centers, or private clinics, and may prescribe medications in all 50 U.S. states. CNM’s adhere to a philosophy that views childbirth as a normal physiological process, but can refer higher-risk patients to obstetricians as necessary. (While the roles of obstetricians and CNM’s overlap, obstetricians are trained to more actively “manage” childbirth, while CNM’s intervene only if the woman’s health is potentially in danger). Certified Nurse Midwives must pass a licensing exam administered by the American Midwifery Certification Board to practice. Pros: The CNM is an excellent role for individuals committed to women’s healthcare and well-being, and for those who view health in a holistic, wellness-oriented manner. CNM’s are an advanced practice nursing role and are highly autonomous. Midwifery is increasingly recognized as a safe, vital and cost-effective option for American women, and opposition among obstetricians and other physicians to the role of CNM’s in childbirth and women’s health generally has softened to some extent. Cons: At times, CNM’s do clash with obstetricians over their scope of practice. Some insurance companies do not reimburse CNM’s at the same level as obstetricians. Like physicians and other clinically-oriented advanced-practice nurses, CNM’s may be held personally, professionally and financially liable in cases of malpractice. Advancement: A Certified Nurse Midwife (CNM) is a terminal degree. CNM’s who wish to pursue an academic career may need to earn a PhD. Some CNM’s concurrently hold other advanced nursing degrees, such as Women’s Health Nurse Practitioner (WHNP), or in public health. There is an ongoing discussion about transitioning the CNM to a doctoral level degree. Salary: About $85,000 to $105,000, depending upon geographic area and practice specialty. Scope of practice: Clinical Nurse Specialists (CNS’s) are advanced practice nurses who are experts in a particular clinical area, with a focus on evidence-based nursing interventions. (A CNS differs from a Clinical Nurse Leader because a CNL is an “advanced generalist” focused on process and outcome improvement throughout the healthcare system). Clinical Nurse Specialists work in areas defined by one of the following categories: population (e.g. pediatrics, geriatrics, women’s health), setting (e.g. critical care, emergency room), disease or medical subspecialty (e.g. diabetes, oncology), type of care (e.g. psychiatric, rehabilitation), or type of problem (e.g. pain, wounds, stress). Regardless of focus, a Clinical Nurse Specialist works in the three overlapping domains or “spheres of influence” of patient, nursing personnel, and healthcare system to improve patient outcomes and nursing care. Pros: The Clinical Nurse Specialist (CNS) is an advanced practice role that is well suited for the individual who desires a balance between patient-centered and healthcare system-centered job functions. For individuals with interests in specific fields or practice settings, the CNS role allows for specialization while still providing the freedom and opportunity to implement evidence-based interventions. It is usually but not always easier to gain admission to Clinical Nurse Specialist (CNS) degree programs than it is to gain admission to Nurse Practitioner (NP) degree programs. Cons: Although the Clinical Nurse Specialist (CNS) role has existed for decades, there is nonetheless some ambiguity about the nursing function of the CNS. On the one hand, the CNS is clearly an advanced practice nurse and “clinical expert.” On the other hand, many RN’s may be promoted to similar management positions without obtaining a CNS master’s degree, or other advanced nursing degree. Unlike a Nurse Practitioner (NP), a CNS may not prescribe medication. Advancement: A Clinical Nurse Specialist (CNS) is a terminal degree. CNS’s who wish to pursue an academic career may need to earn a PhD. Some CNS’s concurrently hold other advanced nursing degrees. There is an ongoing discussion about transitioning the CNS to a doctoral level degree. Prerequisites for admission: Completion of a Bachelors of Science in Nursing (BSN); at least 1 year of experience as an RN in an acute care setting, such as an intensive care unit (ICU) (many programs require 2 years of acute care experience); generally requires at least a 3.0 grade point average (GPA) in undergraduate nursing courses, and excellent grades in core science-based nursing courses such as Pathophysiology, Pharmacology, and Medical-Surgical Nursing. Scope of practice: About two-thirds of CRNA’s work in conjunction with anesthesiologists as part of an anesthesia care team; the extent to which CRNA’s are officially licensed to work independently of physicians varies by state. CRNA’s are accorded board certification in anesthesia, and constitute the oldest advanced practice nursing specialty in the U.S. (over 150 years old). Continuing education requirements and recertification are required every two years; additional requirements vary by state. About 40% of all CRNA’s are men (compared to fewer than 10% of RN’s overall). Pros: CRNA’s are highly paid and autonomous advanced practice nurses. CRNA’s must have strong science aptitude, and can safely and effectively administer anesthesia, a critical healthcare function. CRNA’s have a clearly defined scope of practice and are in-demand across multiple practice settings. Cons: In some states, CRNA’s have clashed with anesthesiologists over the right to independently administer anesthesia. (CRNA’s nonetheless constitute a well-established and highly respected advanced practice nursing profession whose fundamental position in U.S. healthcare is not questioned). The CRNA role may be ill-suited for individuals who enjoy the more interpersonal or psychosocial components of nursing. Advancement: A CRNA is a terminal degree. Various professional associations are debating a requirement that newly-licensed CRNA’s obtain the Doctor of Nursing Practice (DNP) or Doctor of Nurse Anesthesia Practice (DNAP) level of education for entry into practice, either by the year 2015 or by the year 2025. CRNA’s licensed before those dates would be “grandfather in” and would be exempt from the requirement to obtain these doctoral-level degrees. Some programs have nonetheless already upgraded to this doctoral-level requirement; such programs require at least 36 months of full-time study to complete. Prerequisites for admission: Completion of a Masters of Science in Nursing (usually may be any type of Masters level nursing degree, such as a Clinical Nurse Leader, Clinical Nurse Specialist, Nurse Practitioner, etc.) or a Bachelors of Science in Nursing (BSN); BSN applicants will usually earn a Master’s of Science in Nursing as part of the DNP program; generally requires at least a 3.0 grade point average (GPA) in undergraduate nursing courses; many programs require or strongly recommend at least 1 – 2 years of work experience as an RN. Some programs require the Graduate Record Examination (GRE) for admission. Degree length: Approximately 2 – 5 years+ (depending upon full-time or part-time study). For the BSN-prepared student, 5 semesters worth of full-time study are typically required to complete the degree, although this will vary depending upon the type of program. Many DNP programs allow part-time study so that individuals may continue to work as RN’s; many incorporate mixed online/offline or distance education formats. Salary: About $90,000 – $110,000, depending upon geographic area and practice area. Scope of practice: Doctors of Nursing Practice (DNP’s) use scholarly research to improve healthcare at the clinical and systems levels, usually within a healthcare organization. 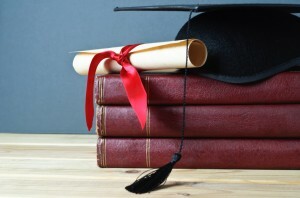 Unlike those who hold a PhD, they do not pursue original scholarly research in an academic setting, although they may teach in some academic programs. The DNP usually requires an extensive capstone project but, unlike the PhD, does not require a dissertation (a publishable piece of original scholarly research). The DNP does, however, require the completion of several hundred clinical hours, which PhD programs do not require. Candidates may pursue a healthcare systems/administration track at some programs, or a nursing informatics degree. Pros: As the “applied” or “real-world focused” doctoral nursing degree, the DNP is well-suited for nurses who wish to attain the highest possible level of nursing education, but do not wish to follow the traditional academic research track of a PhD. While most DNP programs require that students take a core set of courses at their outset, most encourage students to pursue individualized programs of study and research later in the program. The DNP may become the standard for advanced practice nurses of all kinds in the future. Those who obtain the DNP should be well-positioned to assume leadership roles within their respective organizations, now and in the future. Cons: Some nurses feel that the DNP represents “degree inflation” and is an unnecessary qualification for advanced practice nurses (who currently need only a Masters degree) to obtain. DNP programs have only formally existed since the year 2005, and are therefore not as well established as nursing PhD programs, which have existed for decades; fairly or unfairly, some nurses feel that the DNP is not as academically rigorous a degree as the PhD. Unlike PhD programs which fund students’ education with modest annual stipends, DNP programs charge tuition like other, non-doctoral nursing degree programs. Advancement: The Doctor of Nursing Practice (DNP) is a terminal degree. The DNP has replaced the Doctor of Nursing (ND or DrNP) degree. (The PhD has replaced the Doctor of Nursing Science (DNSc, DNS or DSN) degree). As stated above, the Doctor of Nursing Practice (DNP) may become a requirement for entry into practice as an advanced practice nurse in the future. Prerequisites for admission: Completion of a Masters of Science in Nursing (usually may be any type of Masters level nursing degree, such as a Clinical Nurse Leader, Clinical Nurse Specialist, Nurse Practitioner, etc.) or a Bachelors of Science in Nursing (BSN); BSN applicants will usually earn a Master’s of Science in Nursing as part of the PhD program; generally requires at least a 3.0 grade point average (GPA) in undergraduate nursing courses; some programs require or strongly recommend at least 1 – 2 years of work experience as an RN. Some programs require the Graduate Record Examination (GRE) for admission. Degree length: Approximately 3 – 5 years+ (depending upon full-time or part-time study). For the BSN-prepared student, 5 semesters worth of full-time study are typically required to complete the degree, although this may vary. Most PhD programs allow part-time study so that individuals may continue to work as RN’s; some programs incorporate mixed online/offline or distance education formats. Salary: About $80,000 – $110,000, depending upon geographic area and academic/clinical focus. (Note: PhD candidates will usually have all tuition costs and program fees paid for, and receive a stipend for up to 5 years while completing their degrees). Scope of practice: The PhD prepares the nurse to pursue and disseminate original scholarly research, usually within an academic setting; nurses who hold PhD’s are both nurse-scientists and scholars. Those nurses with PhD’s who work in non-academic settings frequently use their degree to perform institutional research, or to bring evidence-based practice to bear on nursing practice. The PhD requires the defense of a dissertation (a publishable piece of original scholarly research) but unlike the Doctor of Nursing Practice (DNP) degree, does not usually require the completion of several hundred clinical hours. Pros: As the “academic” doctoral nursing degree, the PhD is well-suited for nurses who wish to pursue a rigorous, traditional doctoral program focused on the investigation and dissemination of original research. The degree is the most well-known and arguably most well-respected academic degree for nurses who wish to pursue the highest possible level of education. PhD programs challenge their students to not only become expert nurses, but to make original contributions to the growing body of evidence-based nursing research through their own scholarly inquiry. PhD programs are also notable because they fund students’ education with a modest annual stipend, and do not charge tuition as other nursing degree programs do. Cons: Despite the rigor of PhD programs, the academic focus of the degree may be less well-suited for individuals who do not wish to perform research, publishing and teaching in academic settings. Students who are more interested in the application of nursing research as opposed to publishing original research may wish to pursue a Doctor of Nursing Practice (DNP) degree instead. As the DNP becomes more established, PhD students may find themselves even more restricted to employment in academic settings over non-academic settings. Advancement: The Doctor of Philosophy (PhD) is a terminal degree. The PhD has replaced the Doctor of Nursing Science (DNSc, DNS or DSN) degree. (The DNP has replaced the Doctor of Nursing (ND or DrNP) degree). Scope of practice: Licensed Practical Nurses (LPN’s) perform routine (generally task-oriented) bedside care, such as taking patients’ vital signs, administering and assessing patient responses to medications, and in some cases providing patient education. LPN’s monitor and report patients’ responses to medication and changes in health status. Licensure requires passing the NCLEX-PN examination. LPN’s work under the supervision of Registered Nurses (RN’s), Physicians (MD’s), and sometimes other LPN’s. Licensure requires passing the National Council Licensure Examination-Practical Nurse (NCLEX-PN) examination. Pros: Much like Registered Nurses (RN’s), Licensed Practical Nurses (LPN’s) have extensive opportunities for direct interaction and contact with patients. The LPN route provides a faster entry into practice than either an Associates degree in Nursing (ADN) or Bachelors degree in Nursing (BSN). LPN’s may advance to the RN role with additional education (see “Advancement” below), and many RN’s began their careers as LPN’s. LPN’s may be promoted to supervise other LPN’s and unlicensed assistive personnel (such as nursing assistants and patient care technicians). Cons: LPN’s are not permitted to independently assess patients’ health status, as RN’s may. LPN programs do not emphasize independent critical thinking and care planning to the same extent that RN programs do. As healthcare becomes increasingly complex, many LPN’s may feel pressured to complete additional education and advance to the RN role by employers and colleagues. Advancement: LPN to RN “bridge” programs are available for advancement to an Associates Degree in Nursing (ADN) or a Bachelor’s of Science in Nursing (BSN). Some schools offer LPN to MSN (Master of Science in Nursing) programs. LPN’s must obtain a Bachelors of Science in Nursing (BSN) prior to pursuing Masters degree-level advanced practice nursing roles (such as Nurse Practitioner, Clinical Nurse Specialist, Clinical Nurse Leader, Certified Registered Nurse Anesthetist, etc). Prerequisites for admission: Completion of a Bachelors of Science in Nursing (BSN); generally requires at least a 3.0 grade point average (GPA) in undergraduate nursing courses; generally requires several years of progressive work experience in leadership positions as an RN. Salary: $70,000 – $120,ooo; relatively wide salary range depending upon organization type, geographic location, and level of responsibility. Scope of practice: An MSN in Nursing Administration prepares RN’s to manage, plan, and assess personnel and organizational processes. Different management levels include nurse manager, charge nurse, and chief nursing officer (CNO), among many others. Pros: Offers a curriculum directly applicable to managing nurses and healthcare organizations in an increasingly complex healthcare landscape. Demonstrates management interest and potential to potential employers, and may ease promotion to management positions. Cons: In many cases, a master’s degree in nursing management may not be necessary for advancement. Often, nurse managers obtain these positions through work experience and by assuming leadership positions as staff nurses. That said, masters-qualified managers may become increasingly common as nursing becomes more specialized and complex. Advancement: Those who possess an MSN in Nursing Administration may pursue an advanced degree, such as a Doctor of Nursing Practice (DNP), which is a ‘practice oriented’ doctoral degree. The DNP stands in contrast to the PhD, which prepares candidates to produce original academic scholarship and research. That said, many if not most nurse managers in clinical settings do not need to pursue education beyond the Master’s degree level. Prerequisites for admission: Completion of a Bachelors of Science in Nursing (BSN); generally requires a 3.0 grade point average (GPA) in undergraduate nursing courses; may require at least 1 year of work experience as an RN. Degree length: 1 – 2 years, depending upon full- or part-time student status and type of program. Salary: $50,000 – $100,000+. Note: There is a wide range of salaries depending upon institution type, practice area, and geographic location. Salaries are higher for those who serve as educators within hospital or other clinical settings as opposed to within academic institutions. Scope of practice: An MSN in Nursing Education prepares RN’s to teach and train other nurses within either healthcare organizations or academic institutions. RN’s who hold this degree may also provide clinical and/or continuing education to nurses within healthcare organizations. The MSN in Nursing Education will allow an RN to teach in a baccalaureate-level nursing program (i.e. a program that offers the Bachelors of Science in Nursing degree), although a PhD is usually required to obtain tenure at such programs. It may be possible to obtain tenure with a Masters-level degree when teaching in Associate’s Degree in Nursing (ADN) programs. MSN in Nursing Education programs typically mandate a core set of science-based masters-level nursing courses, in addition to courses in pedagogy (the study of teaching) and nursing research. Pros: An MSN in Nursing Education is well-suited for RN’s who wish to focus on education and pedagogy (the study of teaching) in either clinical or academic settings, but who do not wish to take the time and/or expense to pursue a doctoral-level degree (PhD or DNP) at this stage of their careers. There is high demand in many healthcare organizations for individuals skilled at running formal residency (new nurse) training programs, and to provide continuing education courses. Cons: An MSN in Nursing Education may not be necessary to hold many of the teaching or training positions that those pursuing the degree may desire. RN’s, especially those with a Bachelors of Science in Nursing (BSN) or other non-nursing education-related masters degree, may also pursue educational and training roles within healthcare organizations and academic institutions. Pay for those teaching in non-tenured academic teaching roles, especially as adjunct instructors, is low in comparison with other positions available to masters-prepared RN’s. Advancement: Those who possess an MSN in Nursing Education may pursue a Doctor of Philosophy in Nursing (PhD), especially if they wish to teach and publish in an academic setting, or Doctor of Nursing Practice (DNP), if they wish to pursue the application of research to nursing practice, usually in a non-academic setting. Prerequisites for admission: Completion of a Bachelors of Science in Nursing (BSN); generally requires at least a 3.0 grade point average (GPA) in undergraduate nursing courses; may require at least 1 year of work experience as an RN. Most nursing informatics students have a high aptitude for and interest in technology, software, and/or computer science. Salary: $70,000 – $100,000, depending upon experience, level of responsibility, type of organization, and geographic location. Scope of practice: Nursing informatics stands at the intersection of nursing, information technology, computer science and organizational behavior; its goal is to integrate data, information and knowledge to improve organizational performance and nursing and health outcomes. Documentation is a key focus of informatics, but this field is broad and also encompasses reporting and compliance, the publication and analysis of clinical data, and the use of technology to identify clinical opportunities and pitfalls. Nurses with an informatics background often work in multi-disciplinary teams to manage and implement projects. Pros: Nursing informatics is a growing field, ideally suited for nurses with strong a strong interest in and aptitude for technology and information systems. Job opportunities should be plentiful as nursing and healthcare generally become increasingly complex and reliant upon technology. Many nurses in informatics enjoy a relatively high degree of autonomy. Cons: Nursing informatics is not well suited for those who enjoy direct patient contact in their work. Projects that require integration of multiple technological systems may be complex to manage and implement, and require excellent organizational, communication and management skill. Advancement: Nursing informatics is a terminal degree. Those who possess a Nursing Informatics degree often advance to management and leadership positions through work experience and internal promotion. Some nurses with informatics degrees may hold concurrent degrees or certifications in computer science or information technology. Specializations within the NP role include: Family Nurse Practitioner (FNP), Acute Care Nurse Practitioner (ACNP), Adult Health Nurse Practitioner (ANP), Pediatric Nurse Practitioner (PNP), Women’s Health Nurse Practitioner (WHNP), Neonatology Nurse Practitioner (NNP), Geriatric Nurse Practitioner (GNP), Psychiatric and Mental Health Nurse Practitioner (PMHNP), etc. Scope of practice: Nurse Practitioners (NP’s) provide direct primary care to patients in a variety of clinical areas. Most NP’s work in outpatient settings, although a few work within hospitals. In many U.S. states, Nurse Practitioners may prescribe medications to their patients, sometimes in collaboration with or with the permission of physicians, depending upon state laws. (The Nurse Practitioner role grew out of a “physician extender” model, unlike the Clinical Nurse Specialist role, in which the nurse serves as a clinical “change agent”, educator, and consultant, usually within a hospital system). Nurse Practitioners (NP’s) must pass a licensing exam and hold board certification in their chosen area of practice. Pros: Excellent role for those who value a high degree of autonomy and wish to provide direct patient care. Nurse Practitioners focus in many cases on wellness and preventive care. There is a high demand for Nurse Practitioners, both as a means of lowering patients’ costs to access primary care, and in response to national healthcare reform, which will likely increase demand for and access to primary care. Cons: In some states, Nurse Practitioners have clashed with physicians over their scope of practice. Some insurance companies to do not reimburse NP’s at the same level as physicians. Like physicians, NP’s may be held personally, professionally and financially liable in cases of malpractice. NP programs are competitive to gain admission to (usually more competitive to gain admission to than Clinical Nurse Specialist programs). Advancement: A Nurse Practitioner (NP) is a terminal degree. NP’s who wish to pursue an academic career may need to earn a PhD. Some NP’s concurrently hold other advanced nursing degrees, for example in public health. There is an ongoing discussion about transitioning the NP to a doctoral level degree. Scope of practice: RN’s with an Associates Degree in Nursing (ADN) may perform independent assessment of a patient’s health status, plan patient care, administer medications and assess patient responses to medications, provide patient education, and help manage health care organizations, among many other roles. ADN-prepared RN’s possess the same scope of practice as Bachelors-prepared Registered Nurses (BSN-prepared RN’s), although they are generally less likely to be promoted to management and supervisory positions than a Bachelors-prepared RN. Licensure requires passing the National Council Licensure Examination-Registered Nurse (NCLEX-RN) examination. ADN-RN’s work under the supervision of other Registered Nurses and physicians. Pros: Faster and generally less expensive entry into practice compared with Registered Nurses with a Bachelors of Science in Nursing (BSN). Same scope of practice as Bachelors-prepared RN’s. Cons: In recent years, it has become increasingly difficult to be hired into larger hospitals that treat more complex patients with an Associate’s degree; for entry into desirable training/residency programs at many hospitals a Bachelors of Science in Nursing (BSN) has become a pre-requisite. The nursing profession continues to debate whether all entry-level nurses should be Bachelors-prepared, and a BSN may become a requirement for entry into practice in the future. Advancement: ADN nurses can pursue an RN to BSN “bridge” program while they work as nurses if they wish. ADN nurses cannot study to pursue advanced practice nursing roles (Nurse Practitioner, Clinical Nurse Specialist, Nurse Midwife, or Certified Registered Nurse Anesthetist) without a Bachelors of Science in Nursing (BSN), although direct-entry to advanced practice programs (in which students earn a BSN along the way to an advanced practice role) are available. Scope of practice: RN’s with a Bachelors of Science in Nursing (BSN) may perform independent assessment of a patient’s health status, plan patient care, administer medications and assess patient responses to medications, provide patient education, and help manage health care organizations, among many other roles. These roles are the same as an Associates-degree Registered Nurse (ADN-RN), although Bachelors-prepared RN’s are generally (not always) more likely to be promoted to management positions than Associates degree-prepared RN’s. Licensure requires passing the National Council Licensure Examination-Registered Nurse (NCLEX-RN) examination. BSN-RN’s work under the supervision of other Registered Nurses and physicians. Pros: Accelerated Second Degree BSN program offer relatively fast entry into professional nursing practice for those who wish to pursue nursing as a second career; many employers value the experience and maturity of second-degree nursing students. Bachelors-prepared RN’s are increasingly preferred in hiring decisions over Associates-degree RN’s, especially in more selective hospitals and healthcare organizations. Cons: The pace of Accelerated BSN programs are often grueling. Students are usually unable or highly discouraged from pursuing part-time employment while in the program. Some Second Degree BSN students find university-specific course distribution requirements cumbersome because completion of non-nursing courses is often mandated (i.e. at liberal arts universities). Advancement: Bachelors-prepared RN’s may pursue Masters degree-level advanced practice nursing roles (Nurse Practitioner, Clinical Nurse Specialist, Nurse Midwife, or Certified Registered Nurse Anesthetist) via further education, as well as doctoral degree nursing programs (PhD or Doctor of Nursing Practice). Bachelors-prepared RN’s may also pursue management roles, in some cases without further education. Pros: Bachelors-prepared RN’s are increasingly preferred in hiring decisions over Associates-degree RN’s, especially in more selective hospitals and healthcare organizations. Compared with Accelerated Second Degree BSN students, traditional 4-year BSN studnets often obtain more clinical hours and complete their academic programs at a more manageable, less hurried pace. Cons: More costly and, for first-time college students, more time-consuming for entry into practice compared with Associates-degree RN’s. Some BSN students find university-specific course distribution requirements cumbersome because completion of non-nursing courses is often mandated (i.e. at liberal arts-focused universities).